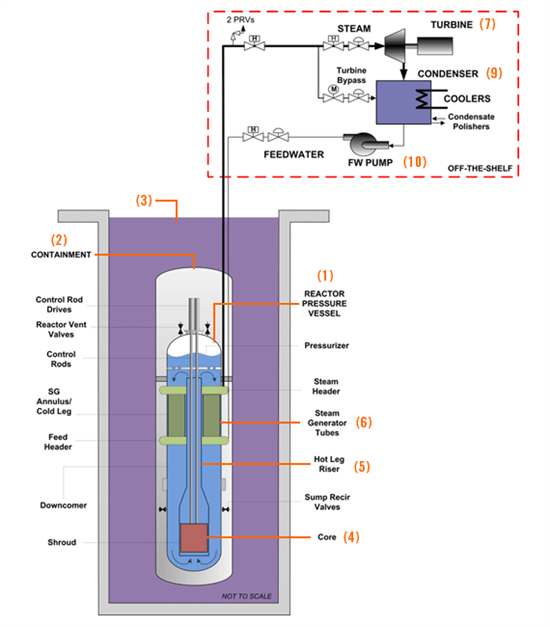 Originally a Department of Energy and Oregon State University project, the NuScale module reactors have been taken over by NuScale Power, Inc. 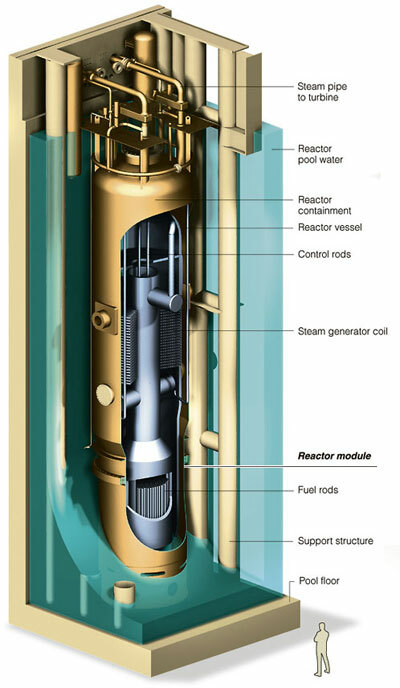 The NuScale is a light water reactor (LWR), with235U fuel enrichment of less than 4.95%. It has a 2 year refueling period. The modules, however, are exceptionally heavy, each weighing approximately 500 tons. 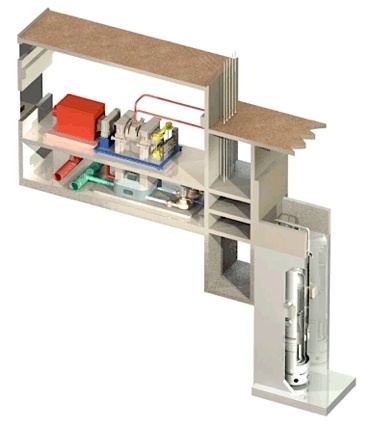 Each module has an electrical output of 45 MW, and a single NuScale power plant can be scaled from one to 24 modules. The company hopes to have a plant up and running by 2018, after they have received a license from the Nuclear Regulatory Commission. 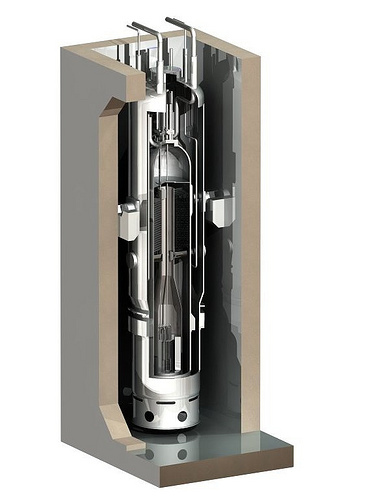 However NuScale Power is facing an old problem. The startup — which is developing a small, modular nuclear power plant — has suspended operations due to a cash crunch.